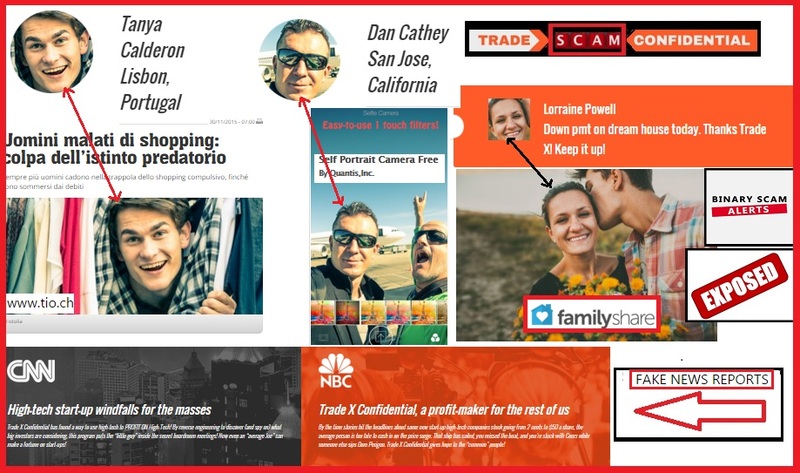 Binary Scam Alerts is posting a severe SCAM notice in reference to the Trade X Confidential Software (AKA Trade X Confidential App and Autotrader) as well as Paul Reed the fake actor and chief instigator of this vile scheme. After being drowned in a sea of complaints submitted by an angry mob of frustrated day traders, our team of tenacious researchers decided to conduct a full investigation and review of this bogus trading system. Main Culprit: “Paul Reed” the ex-musician turned Millionaire overnight. The results we reached were nothing less than scandalous. In fact, we were so disgusted with this deception that after 30 minutes we just stopped, and started to compile to facts and evidence in order to shed some light on this horrendous pile of glorified cow dung. Our conclusions are simple, yet nauseating. This so called software is not only inaccurate, it is also dangerous and fraudulent because of the highly deceptive nature of it. Trade X Confidential is a very convincing high end production, which makes it that much more dangerous. Still our persistence and experience in uncovering scams enabled us to find the truth and reach the facts very quickly and efficiently. As you can see in the image below Tanya Calderon is actually some image bank actor we found in a Swiss Newspaper called Tio. Dan Cathey is prominently displayed in a self portrait for an app called Quantis, and Lorraine Powell’s picture is also taken from an iStock photo bank where she is also presented as a lovely spouse at a site called family share. Additionally, as is the case in many scams, the fake news reports on CNN and NBC are also there to lend an aura of legitimacy where in reality that is the last thing this piece of trash code really is. 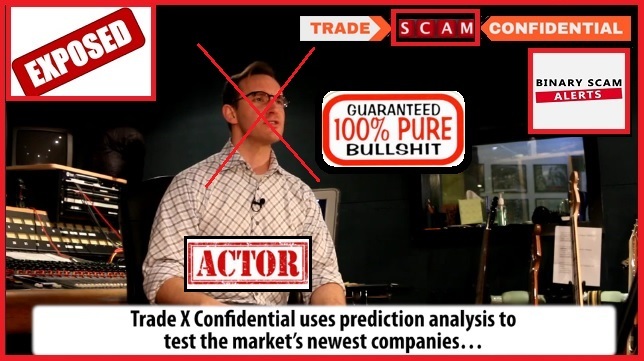 I have to admit, these people created a very colorful story about how Trade X Confidential uses prediction analysis to test the market’s new apps and somehow identifies the ones that are going to be traded heavily, and based on that buy options contracts that will pan out as winning trades. In reality, the exact opposite is true, and this rotten piece of code has left such a foul stench that my hands start to shake from the level of audacity and daring these cheaters have reached. The facts are there for all to see, this system will intentionally take losing positions or trades and in this way steal your money. If you have bought into this charade, you need not concern yourself anymore with technical analysis or market updates. You will not be needing any bollinger bands or candle sticks charting, and you will definitely not reach ~90 ITM ratio on winning trades. Your primary concern needs to shift from making money to crisis management and making sure your credit card details have not been compromised by starving sales reps getting paid minimum hourly wage by some shady offshore unregulated broker. Well, naturally yes. However as the presenter says it himself, you need to fund at least $250 to get access to this great piece of trash software. These include but are not restricted to: My First Online Payday, Amissio Formula, Trade Tracker Pro, Limitless Profits, Copy Buffett, Push Money App with Dennis Moreland, Citidel LTD, Centument App, Zulander Hack, The Free Money System and Walter Green, and Insured Profits with Dave and Ginny. It is widely agreed that the number of systems available today in the markets has Skyrocketed. However, in most cases their credibility is unproven and at times just another scam. If you are looking for a signals tool we recommend the binary profit method. For an Auto-trader solution please read our Virtnext review. 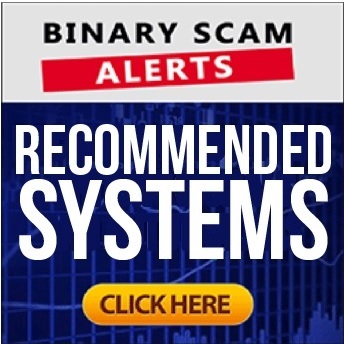 It is the opinion of the staff and management of Binary Scam Alerts that the Trade X Confidential software is a complete scam and fabrication. There is nothing genuine, honest, legit, honest, or sincere about this binary options automated trading tool beside the attempt of the people behind it to elegantly mislead you and fleece your wallet. If you have invested money into this trashy system, please let us know and we shall try to retrieve your stolen funds. As always, don’t forget to join our Facebook Group and subscribe to our YouTube Channel.